Eurosport is one of the best ways to watch athletic events based in the European continent. Owned by Discovery Communications, Eurosport is included with most basic cable and satellite TV packages offered throughout Europe. Channels offered include Eurosport 1, Eurosport 2 and Eurosport News. The downside to Eurosport is its country-specific broadcasting. Because Discovery Communications doesn’t own the universal right to broadcast shows, viewers will often see different things depending on what country they tune in from. For example, Eurosport EPL broadcasts Premier League football– but not to the UK – instead EPL is broadcast in Romania only. Luckily, using a Eurosport VPN is the perfect solution. For more information on the best VPNs to access Eurosport and how to get a Eurosport subscription from any country, continue reading our top 5 guide. What is a VPN for Eurosport? A VPN or virtual private network is an online service that helps secure your digital activities from the prying eyes of the government, ISPs, and cybercriminals. In addition, a VPN can help you access geographically restricted content like TV streaming services and country-specific broadcasts. By using a VPN, you’re adding a strong layer of protection to your everyday online browsing. Why do you need a Eurosport VPN? Eurosport offers fantastic sports broadcasting – a must-watch for any sports fanatic. The only downside is that Eurosport only broadcasts in specific countries. If you want to access Eurosport from a country that isn't in Europe, you’ll need a VPN. Furthermore, by using a VPN, you’ll be able to securely enjoy Eurosport in privacy. All you have to do is install the VPN of your choice and connect to a server located in the country you wish to access Eurosport in. Buying a Eurosport account can be difficult if you don’t live in Europe. Luckily, this is solved by purchasing a virtual credit card. Although BestVPN.com hasn’t directly tested any virtual card providers, we have come up with a few options that have great reviews online. The first is a virtual card provider called Entropay that offers UK credit card services. Another option is Money Polo, also rumored to be cheaper than Entropay. If you only want to use a virtual card solely for purchasing a Eurosport account, you can use a service like EcoPayz that offers one-time virtual card payment options. Just remember, it’s important to do research on whatever virtual card provider you choose before putting your trust in them. If you tread carefully, you’ll be watching Eurosport with a VPN in no time at all! Before purchasing a VPN, it is important to consider a variety of factors like the number of server locations, connection speeds, and the overall privacy and security offered by the VPN as a whole. 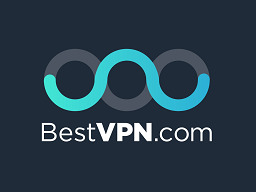 All of the VPNs on this list have been carefully tested and reviewed by our team at BestVPN.com, and any of the Eurosport VPNs will serve you well. Eurosport is a popular way to keep up with European sports. Unfortunately, it becomes difficult to keep up with sports when you can’t watch them due to regional restrictions. Any of our recommended Eurosport VPNs will help you get around those blocks, giving you access to any of the national programming that Eurosport broadcasts via the internet. Now is your chance to enjoy Eurosport like a true European – even if you’re not in Europe!